Cowries Harbourside Shellharbour Village offers a choice of either modern en-suited rooms with harbour and water views or a fully self contained two bedroom two bathroom ocean view apartment in an ideal location in the quaint Shellharbour Village. The Ocean View Two Bedroom Apartment is a modern luxury two bedroom, two bathroom unit which is fully self contained. The apartment is very spacious and features spectacular ocean views from the living area, kitchen and covered entertaining balcony. The main bedroom has a queen and single bed with ceiling fans and en-suite with a bath. The second bedroom has a queen and single bed and access to a separate second bathroom. There are two separate living areas both with flat screen TV's. The apartment can accommodate up to six people. If you have a large group you can always combine both types of accommodation and fit everyone comfortably on the same property! Cowries Harbourside Shellharbour Village is centrally located close to a 50 metre ocean pool and children's wading pool, boutique fashion and home-ware shops, restaurants, cafes, pubs and clubs. Ideal for families or couples. 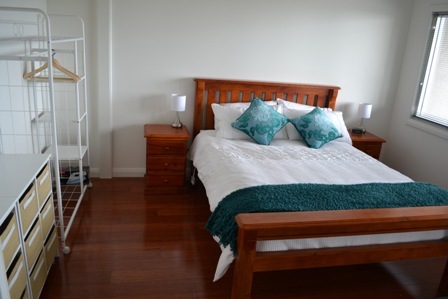 Cowries Harbourside Shellharbour Village offers both modern en-suited rooms and also a fully self contained two bedroom apartment in prime location in the quaint Shellharbour Village. The Ocean View Apartment is a modern luxury two bedroom, two bathroom unit which is fully self contained. The apartment is very spacious and features spectacular ocean views from the living area, kitchen and covered entertaining balcony. The main bedroom has a queen and single bed with ceiling fans and en-suite with a bath. The second bedroom has a queen and single bed and access to a separate second bathroom. There are two separate living areas both with flat screen TV's. 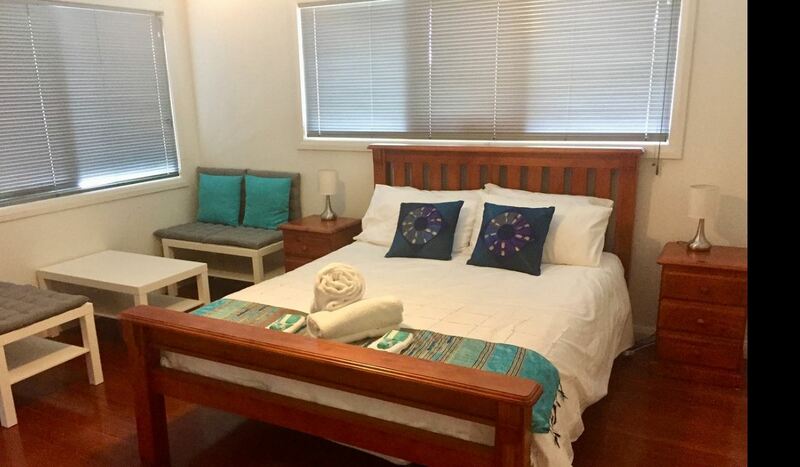 The apartment can accommodate up to six people and is centrally located close to a 50m ocean pool and children's wading pool, boutique fashion and home-ware shops, restaurants, cafes, pubs and clubs. Ideal for families or couples. 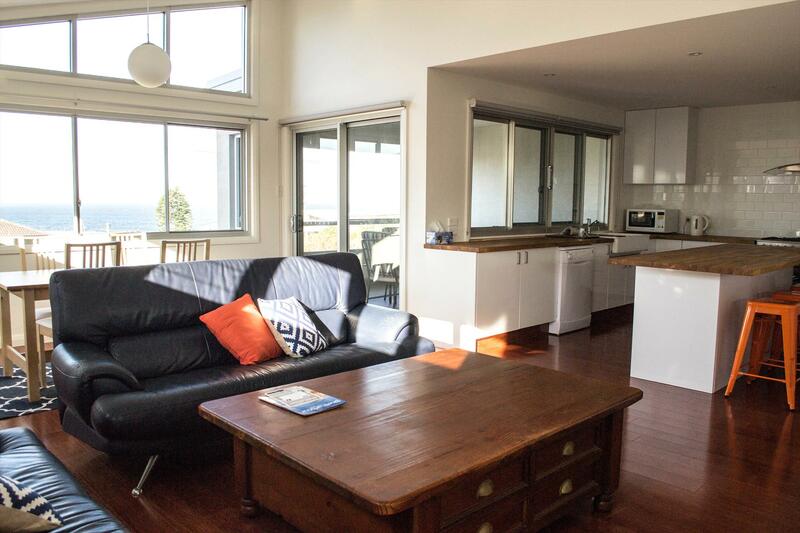 Cowries Harbourside is in a fantastic location close to the boat ramp and harbour area, ideal for fishing. Cowries Harbourside Shellharbour Village is only 1.5 hours drive south from Sydney Airport or why not fly directly to the local Illawarra Regional Airport with Jet-go. Flights from Melbourne and Brisbane. 1 queen bed with large courtyard. Self served continental breakfast, mini fridge, tv, dvd, austar, wireless internet, ceiling fans, air condtioning, electric bankets, hair dryer. 1 queen bed + 1 single bed with large balcony. Self served continental breakfast, mini fridge, tv, dvd, austar, wireless internet, ceiling fans, air conditioning, electric bankets, hair dryer. If no show or if cancelled within 48 hours from date of arrival 1 nights accommodation will be charged. $20 cancellation fee if outside 48 hours this excludes the Ocean View Two Bedroom Apartment. No refund for no show or early checkout. Cancellation policy for Ocean View Two Bedroom Apartment bookings inside 30 days from the date of arrival a cancellation fee of 25% of the total booking will be charged unless rebooked for same period and cost. For cancellations inside 7 days no refund will be provided unless apartment is rebooked for same period and cost. No refund for no show for early checkout.